As in previous years, we plan to hold a symposium on Jet engines and gas turbines as well as a two-day workshop on relevant topics. The 16th Symposium will be held in the building of the faculty of Aerospace Engineering at the Technion on November 9, 2017. The workshop will be held two days earlier, on Tuesday, November 7, 2017. Following is the call for the Symposium. As for the workshops, a separate leaflet will be distributed after the exact topics of the workshops will be determined. In the meantime we recommend to secure these two dates. For the program of the symposium, please click here. I hope to see you participating in the symposium, and even more participating as lecturers. 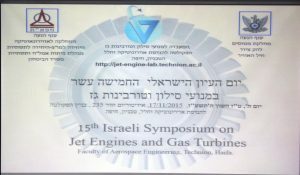 This year, as in the previous 15 years, we plan to hold the Israeli Symposium on Jet Engines and Gas Turbines. During the last few years there has seen a steady expansion of activities in Isreal in turbo jet propulsion. This is in addition to the serial production of small engines, increased electricty generation using gas turbines and combined cycles, production of various engines’ spare parts and maintenance work. 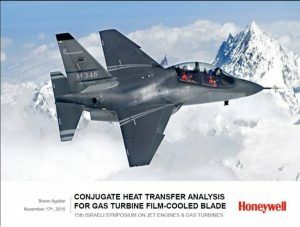 In Israel, many bodies are active in jet engines and gas turbine area, including: MAFAT (MoD), IAF, Israel Navy, EL-AL, IAI, Beit Shemesh Engines, RAFAEL, TAAS, ORMAT, Israel Electric Corporation, R-Jet & Becker Engineering, the Technion and more. Improved engineering & technological innovations and new projects in Israel calls for continued professional meetings’ for the exchange of information, for cross-pollination and for creating a fertile seedbed for cooperation. 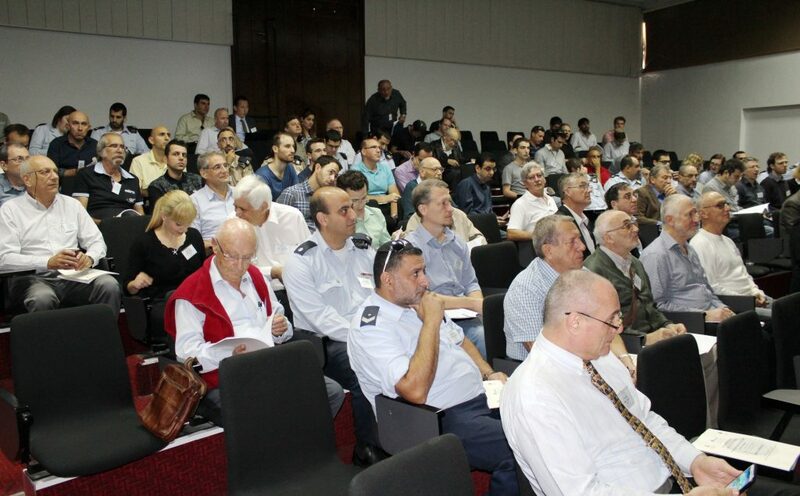 During the previous 15 symposia, in every one, more than hundred scientists and propulsion engineers met and presented their work from the various industries, the MoD and Academia. These symposia were a success, wetting the appetite for more such meetings. The 16th symposium will include invited introductory lectures on selected subjects (from large engine manufacturers and Academia). 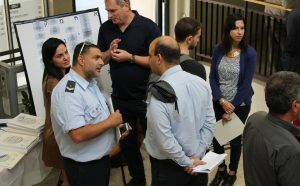 In addition there will also be presentations that concern activities in different Israeli industrial firms, institutes and, upon request, a tour to the faculty’s renovated Turbo and jet Engine laboratory. This will also be a good opportunity for professional meetings, exchange of ideas and presentation of jet engine models and products from various companies. During the symposium there will be an opportunity to discuss all topics relevant to jet engines and gas turbines, including innovative cycles, aerodynamics of turbo-machines, combustion, heat transfer, structures and dynamics, simulations, control, production processes and maintenance, combined cycles and more. Preference will be given to subjects of interest in Israel. Typically, the first half of the symposia (till lunch time) will be held in English. Price per person for early registration is 250 NIS (registration fee includes lunch and book of abstracts). Full time students (graduate and undergraduates) are granted with free symposium registration (but without the lunch…). Payment to the symposium should be sent in advance by check, payable to “Technion”, addressed as listed below. In special cases, one can register on the day of the symposium. Presentations will be published in full, or as a “censored” version, after the conference on the conference website. In addition there will be an opportunity to present/display promotional material. Please contact the undersigned for this purpose.